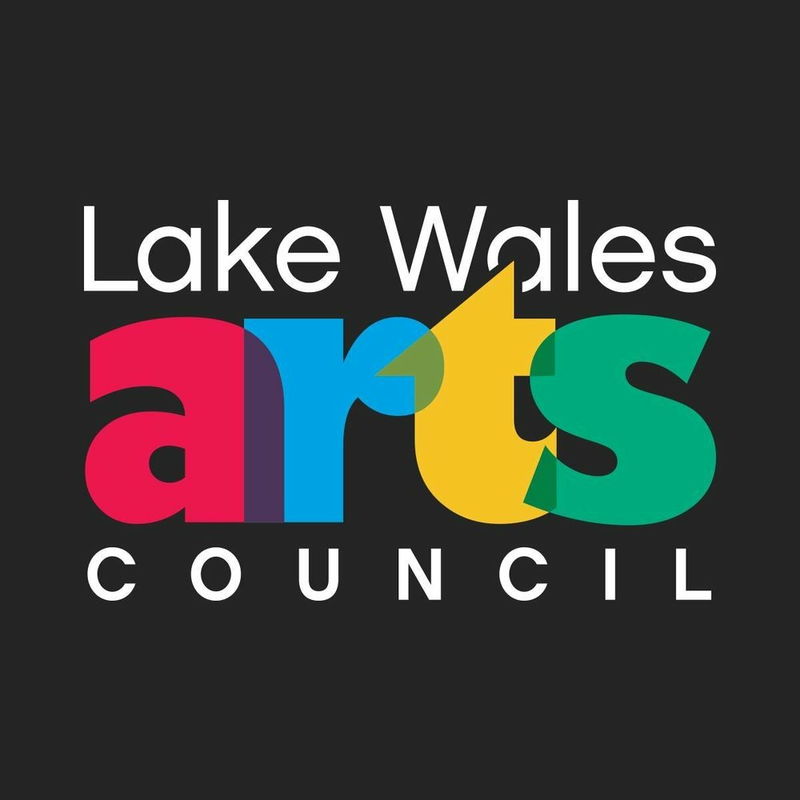 Please join the Lake Wales Arts Center for our annual dinner & fundraiser! An evening of fine food and jazz in three acts. 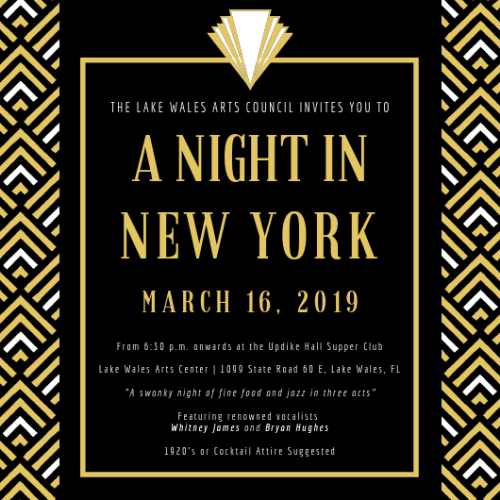 A Night in New York will take place on March 16th, 2019 at the Lake Wales Arts Center from 6:30 PM - 9:30 PM. Tickets are $150 for solo tickets, $250 for couples tickets, and will include all food, open bar, and entertainment for the evening. The Lake Wales Arts Center is taking our patrons all the way back to the 1920's! Updike Hall will be transformed into one of the swankiest supper clubs that New York has to offer. Although period-specific attire is not required, it is encouraged! With drinks flowing and elevated food options available, patrons will be able to experience a true 1920's supper club from start to finish. The evening wouldn't be complete without a dynamite band! Paul Gavin is bringing an all star lineup of musicians including the vocal expertise of Whitney James and Bryan Hughes. The band will play all of the classics from the Great American Songbook and provide quite a show for our patrons. We hope you will join us for this once a year social extravaganza!